Thom van Dooren: I am currently beginning work on a new 3-4 year research project focused on crows around the world. Below are a few excerpts from a recent grant application, stitched together to give a sense of my larger project and research questions. This research is funded by the Humboldt Foundation and the Australian Research Council. This project explores the dynamic interface between people and wildlife in this period of incredible social and environmental transformation. As a consequence of interwoven processes of climate change, increased urbanisation, escalating biodiversity loss and the unprecedented global movement of commodities, ideas and organisms, it is now often the case that people and wildlife find themselves thrust into novel environments and relationships. These ‘contact zones’ (Haraway 2008) present us with a range of important challenges: many species are being pushed to extinction, unable to adapt to shifting habitat or climate pressures (Barnosky et al. 2011), while around the world wildlife are often perceived as ‘pests’ and viewed as key threats to people’s lives and livelihoods, from direct conflict to the destruction of crops and the introduction of new diseases (Woodroffe et al. 2005). To foster interdisciplinary dialogue between scholars in the humanities, the biological sciences and wildlife management. Focusing on six case studies around the world, this project deploys a multi-sited approach to take crows as guides into a range of complex questions about how we ought to live with wildlife in a changing world. 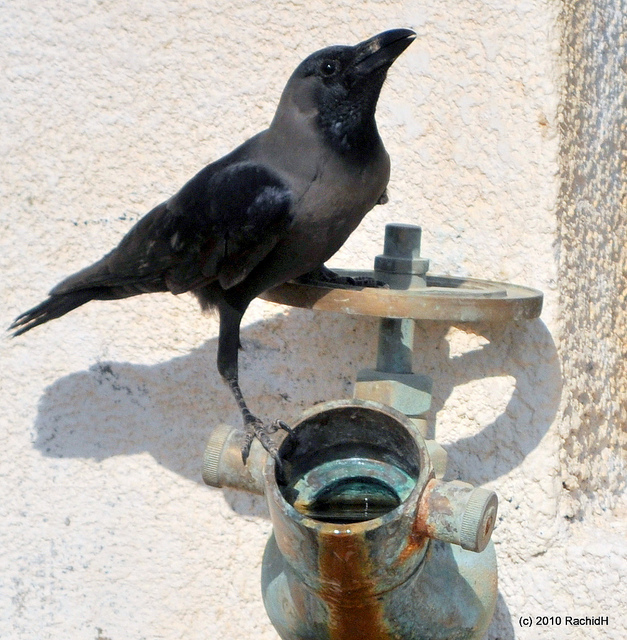 As a virtually ubiquitous presence around the world – from the arctic to desert landscapes, from tiny islands to the largest continents, and throughout urban, rural and ‘wilderness’ areas – crows offer us a diverse range of instructive sites for exploring the challenges and possibilities of living well with nonhuman others. The crows with which most of us are familiar are those species that thrive on our waste and have taken up residence in cities and on farms. Indeed, few other animals have done as well out of humans as crows. But there is also a far less visible cohort of endangered crows – predominantly forest and fruit specialists – pushed to the edge of extinction by human activity (such as the Hawaiian and Mariana crows). Consequently, crows today find themselves tangled up in many of the key contestations over how we ought to live in and manage environments. Across these case studies, birds that are relatively similar biologically are engaged in a diverse set of relationships: some are deeply loved and passionately conserved, vital seed dispersers for endangered forests; others are predominantly viewed as pests, scavengers on the detritus of human life, and perhaps even agents of extinction through their predation of endangered species (Marzluff and Angell 2005, Rose et al. 2011). Within each of these case study sites, further cultural diversity complicates any simplistic notion of a uniform ‘human’ relationship with crows. The competing agendas and understandings of conservationists, hunters, farmers, indigenous peoples and commercial interests produce very different visions and possibilities for living with crows (van Dooren 2014b). This research project is constructed around six key case studies that contain a broad cross section of the diverse problems and opportunities that exist in contemporary human/wildlife relationships, as well as a wide range of cultural, economic, ecological and geographical diversity. Each also provides an ideal site for the critical examination of one of the aforementioned key concepts. At around 3:30am in the summer in Brisbane, when most of the human inhabitants of the city are still sleeping, large groups of Torresian crows (C. orru) begin to stir. Having roosted together overnight in groups ranging from dozens to many hundreds of birds, their raucous morning calls wake everyone (Jones and Everding 1993). This noise is the primary complaint made against crows by some locals, whose responses range from resignation to murderous rage. This case study will explore the complex histories and futures of human/crow interactions in Brisbane with a focus on ‘community’. Community is a particularly important concept for western philosophy and biology: a vibrant site for thinking through notions of identity, difference and political relationships and obligations (Nancy 1991, Esposito 2010), while also being utilised by biologists to group organisms of one or many species (Gilbert and Epel 2008). Nowhere else in Australia do crows (including other Torresian crows) gather in such large groups. It seems that in Brisbane the ready availability of resources, perhaps alongside other as yet unidentified factors, has given rise to a new “way of life” (personal communication, Darryl Jones). In this context these crows ask us to consider the origins and nature of life in company with others, calling out for accounts of community that take evolutionary biology seriously without succumbing to the looming spectre of biological determinism. In addition, Brisbane’s crows pose a range of questions about the limits and possibilities of flourishing life for multispecies communities of humans and nonhumans in urban environments, communities that are always also multicultural. What do philosophical and biological notions of community have to teach each other? How can they be thought not just alongside each other, but in entangled company? This case study will take up these questions as part of a broader exploration of contemporary efforts to understand and manage crows in Brisbane (being undertaken by staff and students in Darryl Jones’ Laboratory at the University of Queensland and elsewhere). This research aims to explore these crows and this port – in a way that is attuned to the broader placetimes that constitute our present. Working through the lens of ‘hospitality’ it asks about the ways in which species are made welcome – or not – in the places that we call our own. Who fits, who doesn’t, and at what cost to whom? Are crows simply convenient scapegoats for more general patterns of bad land management? Might their presence call us into other, less lethal, forms of responsibility for the many impacts we have in places like this? In taking up these questions this project aims to explore notions of hospitality and the host – drawing on both philosophical (Derrida 2000, Serres 2007) and biological literatures – as the basis of new forms of relationship and responsibility. This case study focuses on the most critically endangered corvid in the world, the Hawaiian crow (C. hawaiiensis, known locally as ‘Alal?). With the death of the last free living ‘Alal? in 2002, all of the remaining individuals of this species now live in captivity, subjects of a long running captive breeding program. Conservationists hope that in the near future these birds might be able to start being released back into forests. Before this can happen, however, much remains to be done. In particular, forests that have long been degraded by introduced pigs need to be fenced and restored to provide adequate food and shelter for ‘Alal?. The attempt to do so, however, has raised strong opposition from some local people, especially pig hunters. Foremost amongst these opponents are a small group of native Hawaiians who see pig hunting as a core traditional cultural practice. This case study provides a fascinating site for a critical rethinking of notions of heritage and inheritance, drawing simultaneously on evolutionary biology (Oyama et al. 2001) and philosophical thought on the nature and ethics of diverse forms of tradition and inheritance (Diprose 2006). This case study will provide a site for bringing these biological and philosophical perspectives into conversation around the nature and value of entangled biocultural diversities. It will focus on the way in which peoples and their environments are bound up in relationships of becoming, grounded in rich patterns of cultural and biological inheritance. Furthermore, it will explore the ethical dimensions of inheritance, posing questions about our obligations to hold onto the legacies of the past – be they cultural practices of biological species – in a world in which, ultimately, everything cannot be saved. Once abundant, the Mariana Crow (C. kubaryi, known locally as Aga) is now in steady decline. Key threats to the species include predation by the introduced Brown Tree Snake, habitat loss and direct persecution by local people – often because conservation is seen to conflict with development (National Research Council 1997). To date, however, little of a concrete nature has been done to ensure the future of the species. The conservationists I have interviewed in the past who have worked with the Aga and/or in Guam all speak about very distinctive cultural values in relation to wildlife that have made the conservation agenda a hard one to “sell”. As a representative example, one senior conservationist noted that he had been told that the person who kills the last of the endangered Mariana Fruit Bats (Pteropus mariannus) will throw a giant feast (anonymous, Dec 2011). Complex traditional practice, alongside colonial histories and contemporary economies of value and capital are at work here. At the intersection between diverse local values and an increasingly homogenous global conservation movement (primarily represented in Guam by US conservation officials) lies a range of questions about what it means to ‘conserve’: why conservation matters and to whom. I am interested in the dynamic ‘friction’ (Tsing 2005) produced when the ideologies and practices of conservation ‘touch down’ in environments. In particular, this case study provides an opportunity to explore political contestations over hope and struggles to define the future; to determine what a good future looks like (Wood 2006). How might competing visions and claims be brought into productive conversation? What happens when these claims are not just those of diverse humans, but of a broader multispecies community including endangered crows and their disappearing forests? On what terms might we responsible and hopeful visions for the future? (Kirksey et al. 2013). As its name implies, the Common Raven (C. corax) is one of the corvid species that is doing well today. In fact, remarkably well. These birds can now be found living, often in large numbers, across half of the Earth’s landed surface (Marzluff and Angell 2005, 47). In the Mojave Desert in California, common raven numbers have exploded over the past few decades: an estimated 1,500% increase in their population, largely as a result of “the constantly replenished food and other resources that human developments have made available to them” (Boarman 1992). In contrast to the more diffuse impacts on agriculture, amenity and wildlife that are sometimes associated with German crows, the Mojave Desert story is one in which a singular impact has received the majority of attention: that is, the impact of raven predation on the endangered Desert Tortoise (Gopherus agassizii). In recent years a number of approaches to “raven management” have been deployed by local conservationists, ranging from minor environmental modifications like covering up rubbish, through to shooting and other forms of lethal control (Rose et al. 2011). This case study provides an opportunity to explicitly engage with questions of sacrifice – our own and others’. Who is expected to bear the burden of changing environmental conditions? As one of the senior scientists working on ravens in the Mojave Desert has noted: “Predator control is sometimes an easier way of solving a problem than attacking the root causes for the problem. This may be for political, economical, social, or technological reasons” (Boarman 1992). In this context, culling ravens is simply easier than asking people to change their behaviour or than developing new infrastructures that would limit raven numbers. How are various living beings and their needs and obligations understood in this context? What approaches to living with others are possible if we get beyond the “sacrificial logics” (Haraway 2008, 82) of much of contemporary wildlife management? As the human population of Tokyo grows and the city becomes increasingly dense, crows and people are thrust into closer and closer contact. In this space of proximity, Jungle Crows (C. macrorhynchos) have found new ways to take advantage of human presence. Some crows have refined their nests to utilise a ready supply of clothes hangers that produce durable structures. Unfortunately, when these metal nests are built on power poles – as they often are – they have the potential to cause havoc. Crow nests have caused blackouts in entire neighbourhoods and stopped high speed trains. So significant is this problem that the Kyushu Electric Company has established a dedicated ‘crow patrol’ to locate and destroy nests throughout the power grid (Fleming 2010). This is no simple feat. 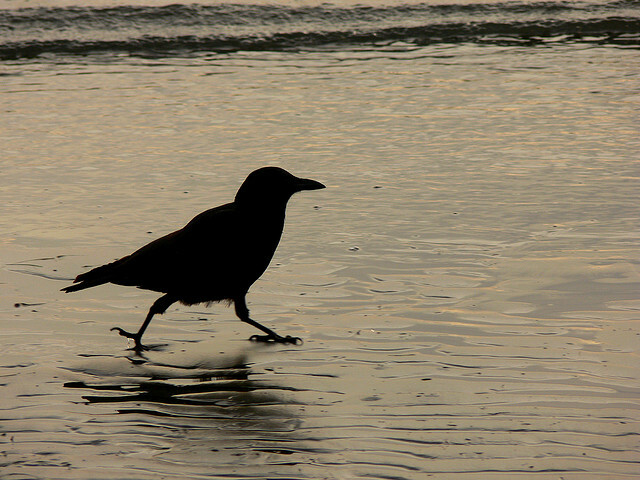 Crows recognise ‘problematic’ people and vehicles and adapt quickly to management efforts. As one member of the crow patrol notes: “we work hard to develop a strategy against crows but they develop a counter strategy to foil it” (Fleming 2010). This case study explores the dynamics of looking and looking back, of gaze, recognition and witness between humans and crows. Part of this story is the difficulty that crow’s capacity for recognising and responding to (particular) humans raises for management efforts. But I am also interested in the other possibilities and responsibilities that this gaze opens up with regard to the thoughtful cohabitation of city spaces. What does it mean to take this gaze seriously, not just as something to be mitigated and worked around in our quest to better ‘manage’ others, but as an address that demands response? What possibilities for living well with others are opened up when we move from viewing ‘witness’ as an exclusively human capacity, to seeing it as a broader characteristic of a thoughtful, watchful, sentient world in which crows and others ‘look back’ at us? Agamben, Giorgio. 2004. The Open: Man and Animal. Translated by Kevin Attell. Stanford, California: Stanford University Press. Barnosky, Anthony D., et al. 2011. “Has the Earth’s sixth mass extinction already arrived?” Nature no. 471:51-57. Berger-Tal, Oded, et al. 2011. “Integrating animal behavior and conservation biology” Behavioral Ecology no. 22 (2). Boarman, William I. 1992. “Problems with Management of a Native Predator on a Threatened Species: Raven Predation on Desert Tortoises.” Proceedings of the Fifteenth Vertebrate Pest Conference, University of Nebraska, Lincoln. Bolen, Eric G., and William Robinson. 2002. Wildlife Ecology and Management (5th Edition) Benjamin Cummings. Bugnyar, Thomas, and Bernd Heinrich. 2006. “Pilfering Ravens” Animal Cognition no. 9:369–376. Callicott, J. Baird. 1999. Beyond the Land Ethic: More Essays in Environmental Philosophy. New York: SUNY Press. Chakrabarty, Dipesh. 2009. “The Climate of History: Four Theses.” Critical Inquiry no. 35:197-222. Chrulew, Matthew. 2010. “From Zoo to Zoopolis.” In Metamorphoses of the Zoo, Ralph Acampora (ed.) Lanham: Lexington Books. Derrida, Jacques. 2000. Of Hospitality. Translated by Rachel Bowlby. Stanford: Stanford University Press. Derrida, Jacques. 2008. The Animal That Therefore I Am, edited by Marie-Louise Mallet. New York: Fordham University Press. Despret, Vinciane. 2004. “The Body We Care for: Figures of Anthropo-zoo-genesis.” Body and Society no. 10 (2/3):111-134. Diprose, Rosalyn. 2006. “Derrida and the Extraordinary Responsibility of Inheriting the Future-to-come.” Social Semiotics no. 16 (3). Donaldson, Sue , and Will Kymlicka. 2011. Zoopolis: A Political Theory of Animal Rights. Oxford: Oxford UP. Drury, R., et al. 2011. “Less is more: the potential of qualitative approaches in conservation research.” Animal Conservation no. 14:18-24. Emery, Nathan J. 2004. “Are Corvids ‘Feathered Apes’?” In Comparative Analysis of Minds, edited by S. Watanabe, Tokyo: Keio UP. Esposito, Roberto. 2010. Communitas: The Origin and Destiny of Community. Timothy Campbell (trans). Stanford: Stanford UP. Fleming, Susan. 2010. A Murder of Crows. Ontario: Canadian Broadcasting Corporation. Fuentes, Agustin. 2010. “Naturalcultural Encounters in Bali” Cultural Anthropology no. 25 (4):600-624. Gilbert, Scott F., and David Epel. 2008. Ecological Developmental Biology: Sinauer Associates. Griffiths, Tom. 2007. Slicing the Silence: Voyaging to Antarctica Sydney: NewSouth. Haraway, Donna. 1991. “Situated Knowledges.” In Simians, Cyborgs, and Women: The Reinvention of Nature. New York: Routledge. Jones, Darryl, and Susie Everding. 1993. “Crows in Suburbia.” Cumberland Bird Observer Club Newsletter no. 14 (4):1-3. Katz, Eric. 2000. “Another Look at Restoration” In Restoring Nature, Paul Gobster and Bruce Hull (eds). Washington DC: Island Press. Kirksey, S. Eben, and Stefan Helmreich. 2010. “The Emergence of Multispecies Ethnography.” Cultural Anthropology no. 25 (4). Kirksey, S. Eben, Nick Shapiro, and Maria Brodine. 2013. “Hope in blasted landscapes.” Social Science Information no. 52 (2):228-256. Latour, Bruno. 1993. We Have Never Been Modern. Translated by Catherine Porter. Cambridge, Massachusetts: Harvard University Press. Lestel, Dominique, et al. 2006. “Etho-ethnology and ethno-ethology.” Social Science Information no. 45:155-177. Lunney, Daniel, and Shelley Burgin. 2004. Urban Wildlife: More than Meets the Eye. Mosman: Royal Zoological Society of NSW. Marzluff, John M., and Tony Angell. 2005. In the Company of Crows and Ravens. New Haven and London: Yale University Press. Mauch, Christof. 2004. Nature in German History. New York: Berghahn Books. Morton, Timothy. 2012. “The Oedipal Logic of Ecological Awareness.” Environmental Humanities no. 1:7-21. NABU. Zur Bejagung von Rabenvögeln 2000. Available from www.nabu.de/themen/jagd/jagdaufrabenvoegel/. Naess, Arne. 1973. “The Shallow and the Deep, Long-Range Ecology Movement: A Summary.” Inquiry no. 16:95-100. Nancy, Jean-Luc. 1991. The Inoperative Community. Peter Connor, et al. (trans). Minneapolis: University of Minnesota Press. National Research Council. 1997. The scientific bases for preservation of the Mariana crow. Washington, DC. : National Academy Press. Nimtz-Koester, Renate. 2012. “Misguided Slaughter: German Crow-Killing Group Faces Growing Backlash.” Spiegel Online, 26 January. Nye, David E. et al. 2013. The Emergence of the Environmental Humanities. Swedish Foundation for Strategic Environmental Research. Oyama, Susan, et al. 2001. Cycles of Contingency: Developmental Systems and Evolution. Cambridge, MA: MIT Press. Palmer, Clare. 2010. Animal Ethics in Context. New York: Columbia University Press. Plumwood, Val. 2002. Environmental Culture: The Ecological Crisis of Reason. London & New York: Routledge. Probyn-Rapsey, Fiona. 2013. “Stunning Australia.” Humanimalia no. 4 (2):84-100. Rolston III, Holmes. 1985. “Duties to Endangered Species.” BioScience no. 35 (11):718-726. Rose, Deborah Bird. 2004. Reports from a Wild Country: Ethics for Decolonisation. Sydney: UNSW Press. Rose, Deborah Bird. 2011. Wild Dog Dreaming: Love and Extinction. Charlottesville, VA: University of Virginia Press. Rose, Deborah Bird, Stuart Cooke, and Thom van Dooren. 2011. “Ravens at Play.” Cultural Studies Review no. 17 (2):326–343. Rose, Deborah, et al. 2012. “Thinking Through the Environment, Unsettling the Humanities.” Environmental Humanities no. 1:1-5. Serres, Michel. 2007. The Parasite. Translated by Lawrence R. Schehr. Minneapolis: University of Minnesota Press. Shove, Elizabeth. 2010. “Beyond the ABC” Environment and Planning A no. 42 (6):1273-1285. Sörlin, Sverker 2012. “Environmental Humanities.” BioScience no. 62 (9):788-789. Steffen, W. et al. 2007. “The Anthropocene” Ambio: A Journal of the Human Environment no. 8:614-621.
van Dooren, Thom. 2014a. Flight Ways: Life and Loss at the Edge of Extinction. New York: Columbia University Press. van Dooren, Thom. 2014b. “Life at the Edge of Extinction” Humanities Australia no. 5.
van Dooren, Thom, and Deborah Bird Rose. 2012. “Storied-places in a multispecies city.” Humanimalia no. 3 (2):1-27. West, Paige, and Dan Brockington. 2006. “An Anthropological Perspective on Some Unexpected Consequences of Protected Areas.” Conservation Biology no. 20 (3):609–616. Whatmore, Sarah. 2002. Hybrid Geographies: natures, cultures, spaces. London, Thousand Oakes, New Delhi: SAGE Publications. Wolch, Jennifer, and Jody Emel. 1998. Animal Geographies, London: Verso. Wolfe, Cary. 2003. Zoontologies: The Question of the Animal. Minneapolis: University of Minnesota Press. Wood, David. 2006. “On being haunted by the future.” Research in Phenomenolog no. 36 (1):274-298. Woodroffe, Rosie, et al. 2005. People and Wildlife, Conflict Or Co-existence? Cambridge: Cambridge University Press. Wrangham, Richard W., et al. 1996. Chimpanzee Cultures. Harvard: Harvard University Press. Wynne, Clive D. L. 2002. Animal Cognition: The Mental Lives of Animals. New York: Palgrave Macmillan.